What makes a perfectly flavoured pint? It’s been the obsession of brewers big and small for centuries…. For some it’s the hops, others say it’s the water, or yeast. But the science of beer has just added a flavour to the mash…barley. The discovery follows a five-year study involving researchers at The Sainsbury Laboratory, Norwich, alongside colleagues in the USA. Until now it was a widely-held brewing trade opinion that it was the malting process not the barley that contributed to the flavour and aroma of beer. Additional flavour enhancements were provided the choice of hops, water and yeast. Or sometimes fruit, coffee, and spices. 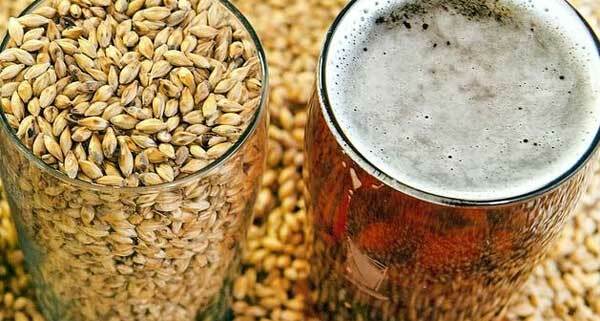 But many brewers insisted that certain barley varieties did contribute to flavour above and beyond the malting process. In addition to genetics, they believed, environment and location — what the wine industry calls terroir — also played a part. And it turns out they are right, according to Dr Matthew Moscou, one of the authors of the study from The Sainsbury Laboratory, Norwich. “The malting process directly impacts the wider profiles of flavour — how you get a pale ale, lager, or a porter — but what this study shows is that subtle flavour profile of the barley variety selected carries through that process,” he said. The research project, which appears in the peer-reviewed Journal of the American Society of Brewing Chemists, set out to test the theory that barley cultivar and the place it is grown can affect beer flavour. Around 150 beers were prepared for sensory testing using a trained panel — people with sensitive palates employed by the brewing industry who know how to differentiate between a flavour wheel of 10 descriptors.